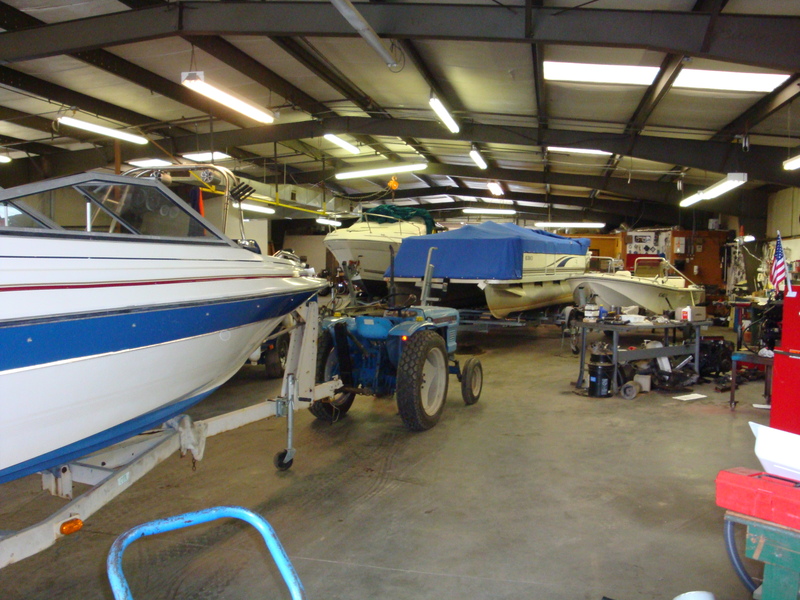 Armstrong Marine Service - See inside our shop...We have a well-equipped shop with over 10,000 s.f. of floor space. We have a well-equipped shop with over 10,000 s.f. of floor space. Armstrong Marine Service provides boat motor maintenance and repair for most of the Lake Norman, NC area. We sell new and used motors, parts and accessories. We can also provide dock-side service, if desired. Examples of some of the services we provide are: Tune-Ups, Oil & Filter Changes, Water Pump Impeller replacements, Outdrive Service, Engine Rebuilds and Replacements, and winterizations...plus many other routine and/or specialty repairs. We can have propellers refurbished, welding performed, or fiberglass repairs coordinated. We can also have your boat washed, waxed and detailed while it is in our shop for service. We offer full winterization programs during the late Fall and Winter seasons. Call us today if you would like to be included on our mailing list. We also offer discount packages for booking your winterization early! We are fully licensed and insured and all our work is guaranteed. We have on-site priviledges at all area dry-dock facilities, storages lots and marinas. No trailer? No Problem! We have shop trailers available if your boat requires being out of the water for repairs. We also have three mobile service vehicles that cover most of the Lake Norman area and 10,000 sf of shop space. If you need a new motor, service or repair, please call us, we will treat you fair!